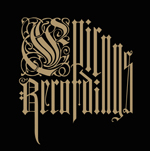 THE EPICUREAN is happy to announce the birth of a new sub-label, EPIC RECORDINGS, which is dedicated to - the name speaks for itself - epic music, or that is to say EBM industrial music of a very special morbid type. First releases are from obscure Norwegian project END, (formerly "The End"), reanimated after 15 years of hibernation, as well as semi-legendary 90`s US project CATATONIC EXISTENCE, familiar due to its connection with porngrind cult act Meatshits – both offering very unique industrial music with sick samples and deep growl vocals. Epic Recordings makes available a retrospective release by Californian semi-legendary act Catatonic Existence, collecting all material ever released by the band, which is a unique blend of electro industrial and death metal with deep growl vocals. To those in the know, Catatonic Existence is familiar due to its connection with porngrind cult act Meatshits, as most of their tracks were originally put out via mutual split releases (which are now sought-after and highly collectible). Active from 1994 to 1996, Catatonic Existence was the solo project of Guy Mulidor (who was heavily involved in the production of the Meatshits masterpiece “Ecstasy Of Death” by the way), aided by Meatshits` main man Robert Deathrage on backing vocals/programming and Pat Oliquin on occasional euro electro style bass. Put together out of a desire for revenge and a feeling of severe disgust, the concept behind Catatonic Existence was to imagine a state of being a soul without a functional body, and yet the ability to hear and think – breeding universal hatred and the desire to kill absolutely everyone. 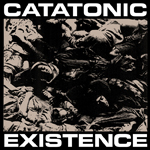 The Catatonic Existence material cites musical influences like Pitchshifter, Sonic Violence, Godflesh and of course Meatshits. Heavy with samples that were chosen for maximum offensiveness, the obsession with absolute violence for the sake of violence works as the storyline of all tracks. The combination of electro slickness, even groove, with dynamic guitar riffs and the grindcore-type vocal delivery makes this music absolutely singular in style and totally timeless, so “Elect me God, And I`ll Kill You All” is pure underground filth waiting to be re-discovered by those with a disposition for the extreme. This CD release includes a 12-page booklet with true reproductions of all original artwork and designs, so the history of Catatonic Existence can be retraced in its explicit entirety. After 15 years of hibernation the obscure Norwegian project „End“ has awoken to scare your neighbours with their subhuman terror tracks. The Epicurean`s request spawned an in-your-face mini-album of completely remixed and newly arranged archive material. Expect an insane crossbreed of gabber, techno and industrial with the ingenious incorporation of gore movie samples, sounding somewhat like GGFH and Dissecting Table on speed. Formerly active as „The End“, the Oslo-based “ohq” (formerly „sic mundi”) has now discarded the article and reactivated the machines (and the gritty sound gives away, they’re of the analogue breed), now also featuring “belzebob” as a full member. A child of the tape underground of the 1990s, with half a dozen obscure releases under their belt, they dare to dwell in absolute uniqueness: End namedrop musical influences like Pouppe Fabrikk, GGFH, Skinny Puppy, as well as Godflesh, Sonic Violence and Dutch underground project Bhaobhan Sidhe (later “Hypervoid 0”) with whom ohq has released a split tape. Their non-musical interests were as diverse as Aleister Crowley and Chevy Chase, as serial killers and Nazi UFOs, a drug-fuelled massive intake of cultural smithereens. These eight Subhuman Tracks clock in at just 20 minutes total, and leave you with the impression of total anachronism – the rawness of the analogue sounds, industrial aggression, gabber kicks, but also slow, scorching tracks, you can never really make out where these bits come from, but somehow it makes sense as a whole, held together by the totally witty and devoid-of-cliché use of gore movie samples. The artwork for the tape cover was specially designed by French underground artist Alkbazz and mirrors the mania that fuelled this production. Packaging: Gold/Black offset printed inlay card in transparent cassette case, Golden silk screen print on white cassettee shell.